Robert Wayne Allard was an American Plant Breeder and Plant Population Geneticist who is widely regarded as one of the leading plant population geneticists of the 20th century. 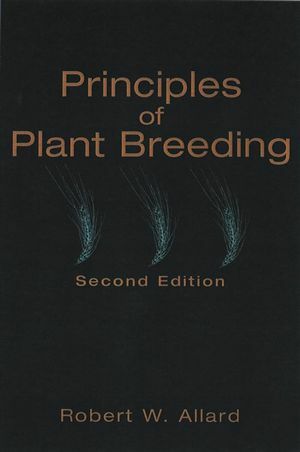 BIOLOGICAL FOUNDATIONS OF PLANT BREEDING. Inheritance of Continuously Varying Characters: Biometrical Genetics. Marker-Assisted Analysis of Adaptedness in Nature. Marker-Assisted Dissection of Adaptedness in Cultivation. Reproductive Systems and Breeding Plans. Breeding Hybrid Varieties of Outcrossing Plants. Breeding Hybrid Varieties of Selfing Plants and Plants that Are Clonally Propagated in Nature. Plant Breeding for Low-Input Agricultures.